I needed a dessert for a couple of birthday girls and I had been eyeing this one. Usually in the food magazines, certain products advertise with a luscious picture and a recipe. This one by Philadelphia Cream Cheese caught my eye. Maybe because I love cheesecake so much, or because I'm prego and most everything with sugar looks amazing to me. 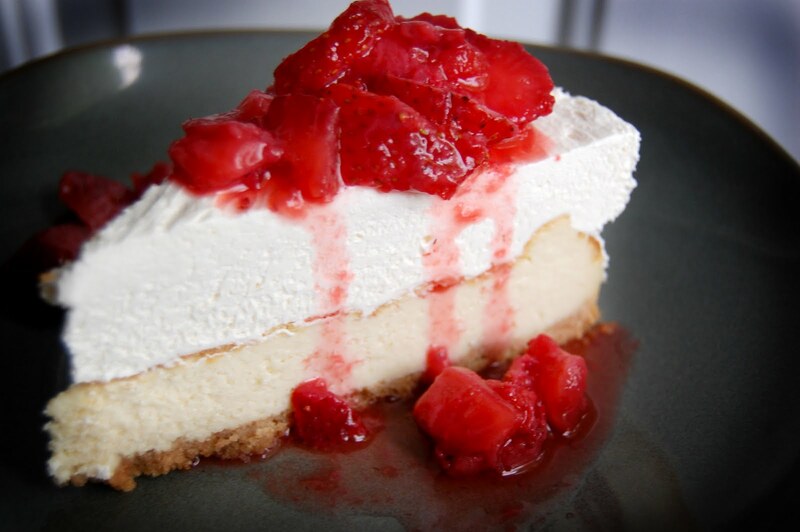 It is a super easy recipe and made a tasty cheesecake. Give it a try! Mix wafer crumbs and butter, press onto bottom of a 9 inch springform pan. Beat 3 packages of cream cheese, 3/4 cup sugar, and 1 Tbsp. vanilla in mixer till well blended. Add eggs 1 at a time, mixing on low speed after each one until just blended. Pour over crust. Bake at 325 degrees 50-55 minutes or until center is almost set. Run knife around the rim of pan to loosen cake; cool completely in pan. Beat remaining cream cheese, sugar and vanilla with mixer in large bowl until well blended. Whisk in whipped topping; spread over cooled cheesecake. Refrigerate 4 hours. Remove rim of pan before serving and garnish with a fruit of your choice. Yum, enjoy!!! Don't forget it's Template Tuesday over at the Digi Lovely blog. My favorite gal Rachael designed this one. I love her work. She is an inspiration for me. Go pick it up! That looks heavenly! Mmmm...I love cheesecake! Oh yay Moni! You are a sweetheart...love and miss you! Also, this dessert looks amazing. Yummy! !